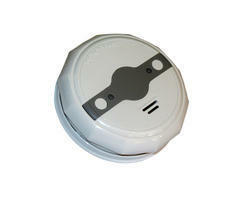 We offer Stand Alone Smoke Detector to our valuable clients. We are engaged in the manufactring of high quality Photoelectric Smoke Detector which are made of durable materials which we source from our certified suppliers. The 30-3013 Explosion Proof Smoke Detector has Divisionand Zone explosion-proof ratings and is suitable for industrialand commercial applications. The detector is designed tooperate effectively with smoldering and rapidly growing firesand contains the ability to annunciate fault ensuring no undisclosed failures. The 30-3013 Smoke Detector outputs include 0-20 mA, a localized LED, and relays. Application: Metallurgy, Chemical, Cement, Oil and Gas, Construction and so on. 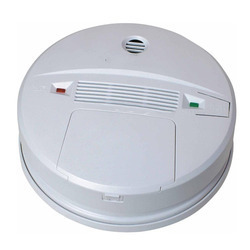 We provide impeccable range of wireless Smoke Detectors that are designed with the help of quality tested components. Apart from this, our detectors make use of photoelectric technology for detecting smoke (not heat) and can constantly monitor its own operational status and sensitivity. Used in various areas, this offered Fire Heat Detector Sensor is tested on various parameters of quality for delivering a defect free range. With in-depth understanding of this market, we are offering highly distinguished Automatic Smoke Detector to our prestigious customers.